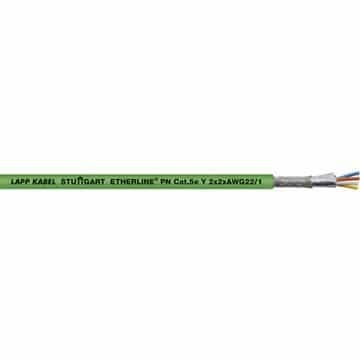 PROFINET FD P FC 2 x 2 x AWG 22/7 is a highly flexible CATEGORY 5 high speed data cable off halogen free materials for industrial usage. The transmission properties are acc. 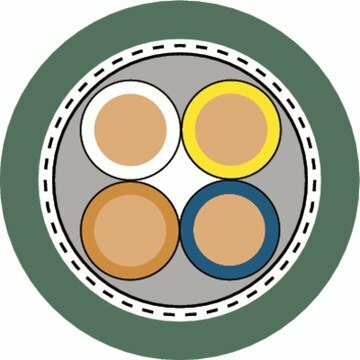 to the standards EIA/TIA-568, IEC 61156-6, TSB-36 and ISO/IEC 11801 for connections according to class D.
The screening ensures a high transmission reliability in areas with a high load of electromagnetic capacity. The PUR jacket is resistant against mineral oils, fats, abrasion and at- mospheric UV radiation. The cable is designed for applications in power chains and on permanently moved machine parts in dry and damp areas.